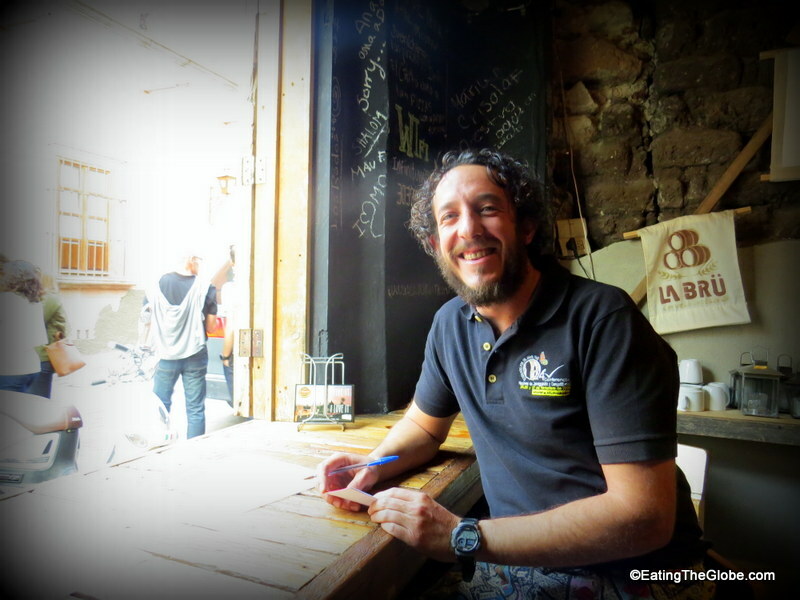 I am back in San Miguel and am excited to see all the new food offerings that have popped up in the nine months since I’ve been gone. The first place on my list to check out was Casa Chiquita Pizza. Casa Chiquita is a unique “Bed & Pizza” with stylish rooms attached to the restaurant, and it does not disappoint. The owners Jorge and Luz, have done well to create a cozy atmosphere of hospitality that makes you feel like you are at someone’s home and not at a restaurant. You can sit by the warmth of the oven and watch the street traffic go by downstairs or you can dine upstairs on the terrace with its stunning views. The pizza is pure perfection. 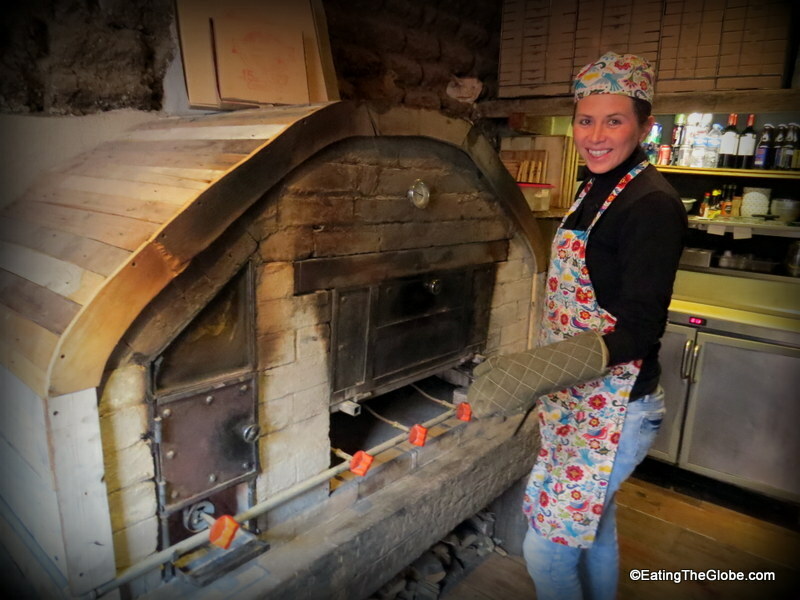 It’s a wood-fired oven pizza with a thin, crispy crust. I loved that it wasn’t soggy like many of the thin-crusted pizzas I’ve had lately. Casa Chiquita has creative choices for their pizza, too. I opted for the Napolitana with pomodoro sauce, cheese, salami, onion, and fresh spinach on top. You can also get a seafood pizza with calamari and octopus or the Cipriani which includes arugula, black olives, sun-dried tomatoes, carpaccio, and Parmesan. What I liked best was the sauces for the pizza. There was a chili oil sauce, but the absolute winner was the creamy sauce that reminded me of a very spicy chipotle ranch dressing. It was excellent. 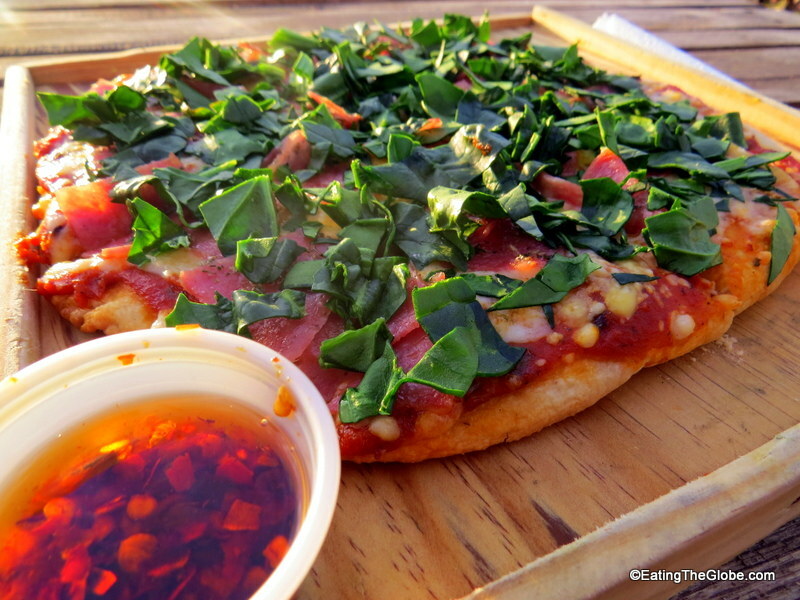 They also have local artisanal beers and wines to go with your pizza. Casa Chiquita’s rooftop has a ton of character with a jacuzzi, small tables, and Adirondack chairs. Make sure you get there in time for the sunset because the view is an incredible one. 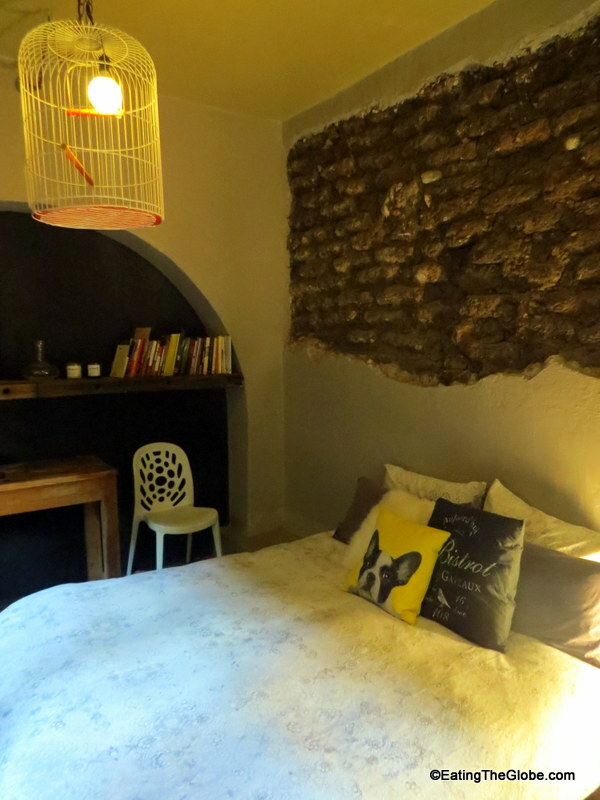 The boutique hotel at Casa Chiquita has a whimsical, vintage decor, and all the wood and doors are made from recycled materials. 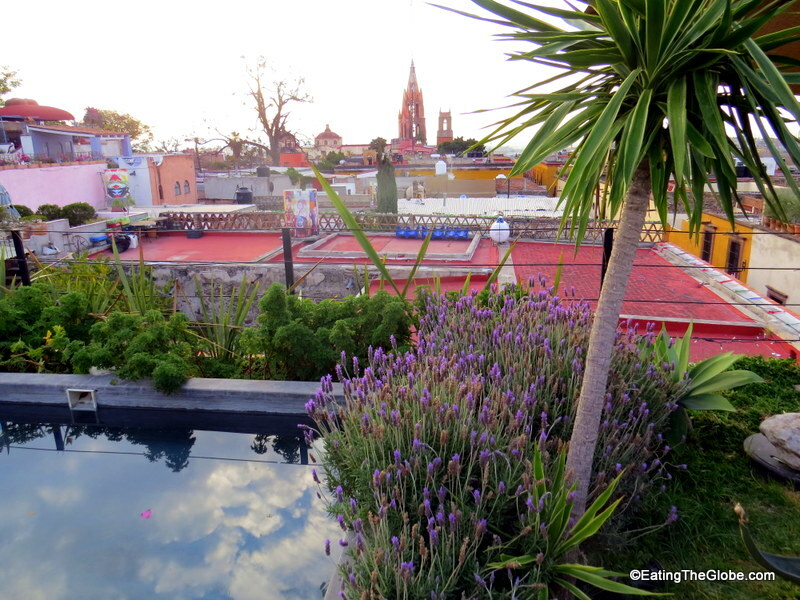 There is an intimate feeling to the hotel, and they even offer massages in the roof garden. 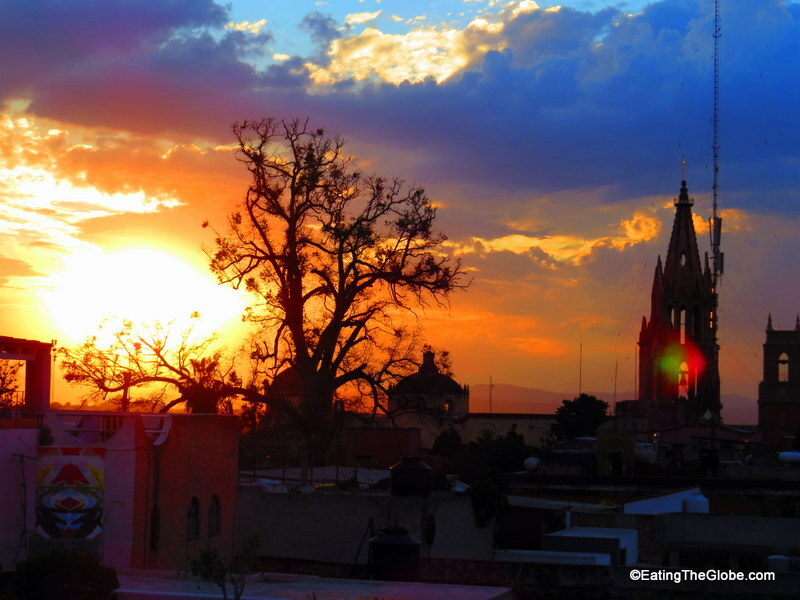 Casa Chiquita has thought of every detail, and I am glad it has found its way to San Miguel de Allende. 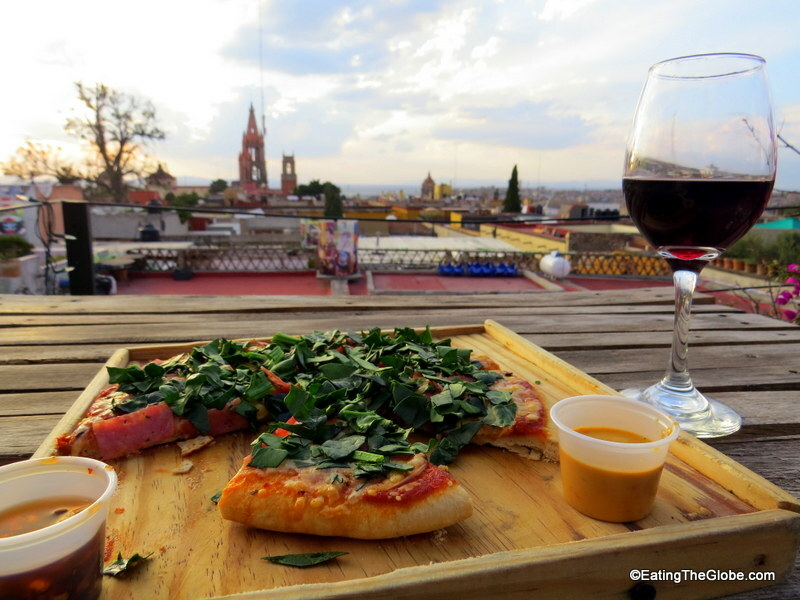 7 Responses to "Pizza With A View: Casa Chiquita In San Miguel de Allende"
Yes, I will for sure be trying that one! Looks like a great place to eat and that hotel is so charming. 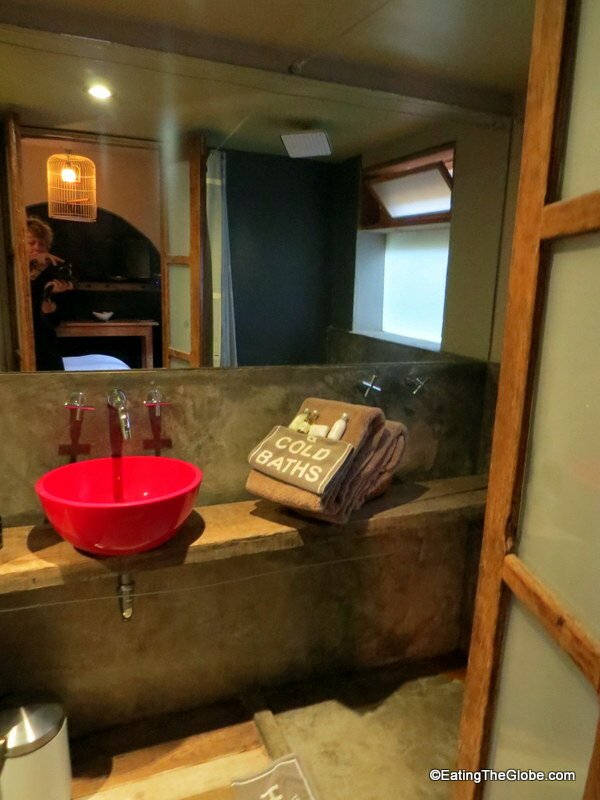 Love the “Cold Bath” towels. I’ll definitely check out Casa Chiquita when we go to San Miguel. Cheers! Yes, it’s adorable and full of charm! Wow – the place looks amazing. 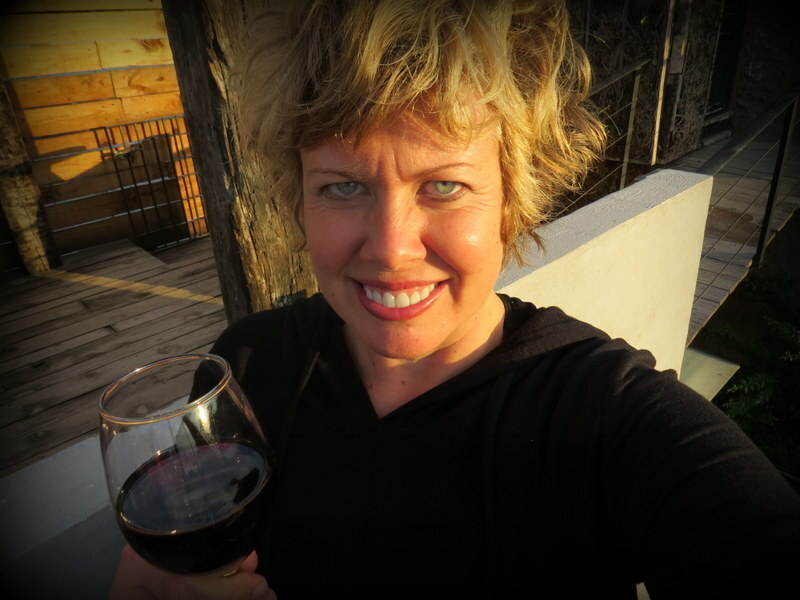 I love staying at B&B’s when traveling because you can learn so much more about the area! I’ve never heard of a B&P before though! Yep, looks good. 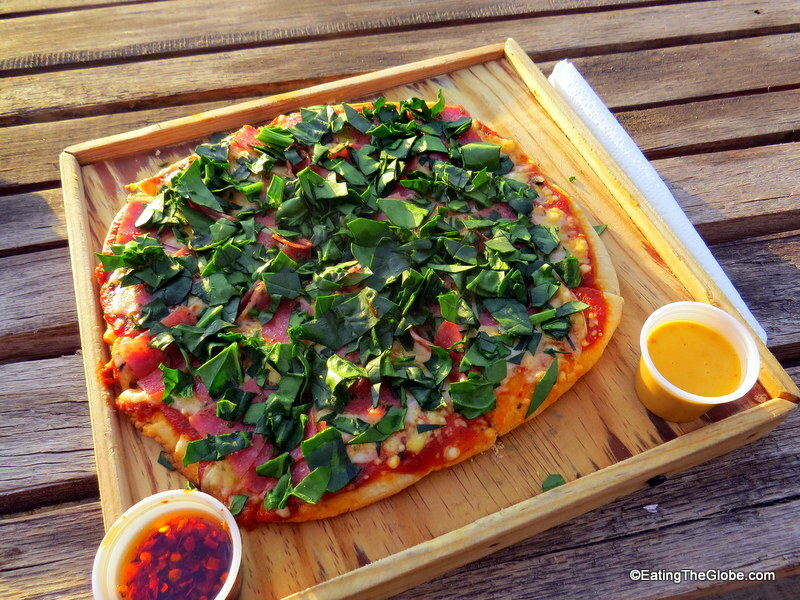 Some people say margherita pizza is the only real pizza, but in my opinion it’s oftentimes quite bland. That said, some restaurants can make margherita interesting, maybe this one too?